Kalamata olive bread at Bread & Bottle in Red Hook. It is morning in the Hudson Valley and the ovens are full of bread. Long and crusty baguettes, sour and pungent rye, foccacia shot through with herbs and olives. Hearths are being fired, challah is being braided, sourdough starters are greedily devouring sugars as they ferment in buckets and tubs, expelling gassy bubbles into the morning air. The long, dark night of supermarket bread is over. The last few years have seen an explosion in the number of artisanal bakeries in the Hudson Valley, putting quality breads in the eager hands of more and more people. But nestled high in the Shawangunk Mountains, one small town has been enjoying handmade breads for almost a hundred years. The Cohen family moved to Ellenville from the Bronx in 1920 and opened up Cohen's Bakery in a stately brick building downtown. There, they baked bread for generations of Ellenville residents, including their famous raisin pumpernickel bread: sweet and toothsome, the pumpernickel bread for people who think they hate pumpernickel. Bill Tochterman and Megan Nolan at Cohen’s Bakery in Ellenville. You can still walk into Cohen's Bakery today and buy a loaf of that pumpernickel, as well as rye breads, rugelach, and bagels made using the same recipe the bakery was using in 1920. It's an invaluable piece of the Hudson Valley's culinary history, and it was almost lost forever. 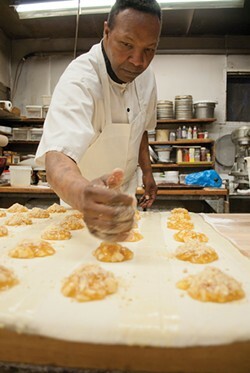 In 2003 Ruby Cohen, son of founder Harry Cohen and sole proprietor of the bakery for 45 years, was searching the Valley for someone to sell the bakery to. Perhaps it was a symptom of the low-carb Atkins craze that was inexplicably sweeping the country at the time, but no one wanted to buy it. It fell to Bill Tochterman, Ellenville's retired postmaster, to step in and buy the bakery in order to keep it from closing down. 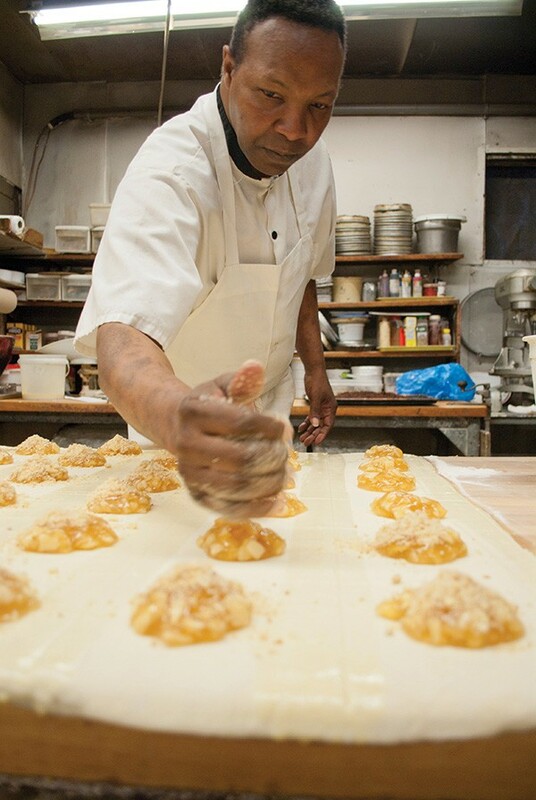 Today, Cohen's Bakery is operating in much the same way it has been for the past 94 years, with a few exceptions. They now make a line of low-gluten breads for the ever-increasing number of customers who have difficulty tolerating gluten. And in addition to their wholesale business, they ship their famous breads all over the world, especially to former customers and Ellenville residents who have left the Hudson Valley. As Andrea Smith, who runs the bakery's wholesale and shipping business, explains, "I mail a lot of bread to Florida." 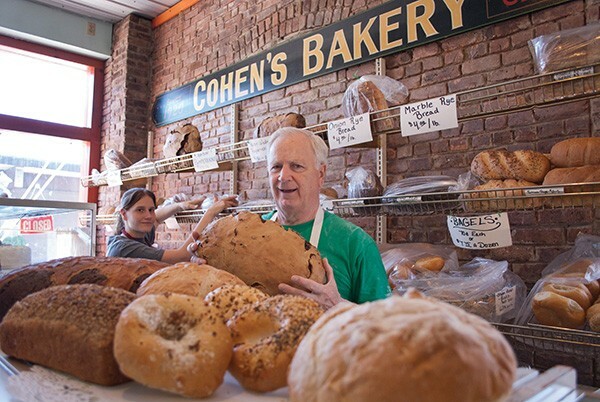 Cohen's Bakery was one of the Valley's few outposts of artisanal, handmade bread for years until Daniel Leader opened up Bread Alone in Boiceville in the early 1980s. Originally a chef working in some of New York City's finest French restaurants, be became bored with what he called "fancy food for high society." When the restaurants closed for August vacation every year, he'd follow his French colleagues back to their home country. It was in France that Leader fell in with a group of bakers and discovered his true calling. "I really like food that everyone can enjoy," he says. "Bread crosses all economic lines, all cultural lines, all ethnic lines. Everyone seems to love bread." There wasn't anyplace else in the Hudson Valley selling organic, European-style breads when Bread Alone opened in 1983. He wasn't sure how people would react to his bread. Unbeknownst to him, there was a hidden customer base just begging to be tapped into. "We were fortunate because back in the '80s there were a lot more Europeans with second homes in the Catskills," he says. 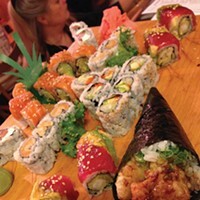 "Most of our original customers were Polish, Russian, French, or Italian. They immediately got it. I didn't have to educate them." Bread Alone quickly grew into a miniempire, adding locations in Woodstock and Rhinebeck and distributing their bread to markets and restaurants throughout the region. Today, Leader is considered one of the country's preeminent bakers, has written several celebrated books for home bakers, and has managed to successfully scale up Bread Alone's production capabilities without any sacrifice of flavor or integrity. "We've been very disciplined about our production," Leader says. "Actually, I think our product is better than ever now." 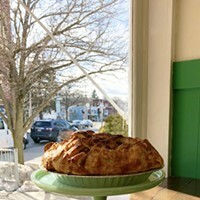 Sheila Buff, author of the recently published A Food Lover's Guide To The Hudson Valley, agrees. "I think it helps that they really only do bread," she says. "They don't do too many cakes, cookies, whatever. When you focus on just making bread, you're going to get a better product." 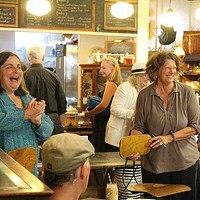 Buff credits Bread Alone with whetting the Hudson Valley's appetite for artisanal bread, as well as the steady increase of farmer's markets throughout the past 30 years. "People began having more access to good bread through the markets, instead of having go all the way to the bakery," she says.